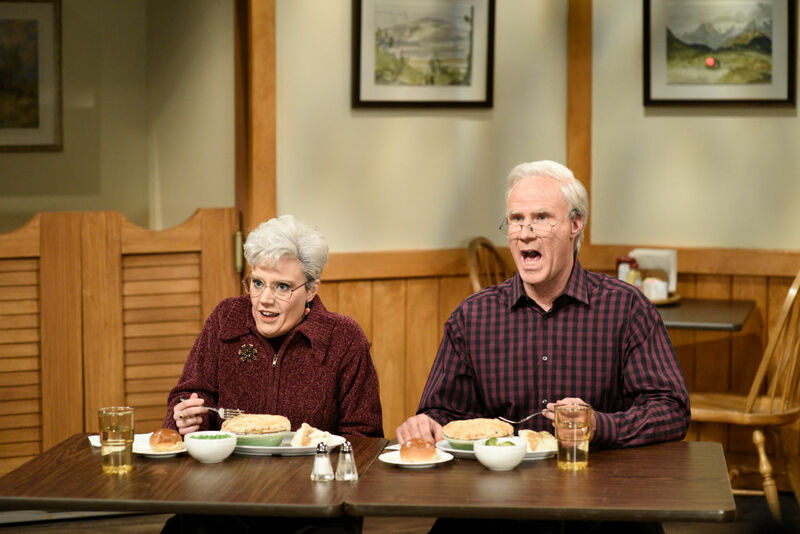 Kate McKinnon and Will Ferrell delivered the silliest Saturday Night Live sketch on January 27th, 2017 when they played an older couple starring in a local restaurant ad, neither of whom can pronounce the phrase “crispy pastry crust.” It was the giggly sort of sketch we remember from Ferrell’s golden years on SNL, and we assumed that it came straight out of his or a writer’s imagination. But it turns out that it’s actually a parody of a viral video from 2012 of a real-life couple who couldn’t say the phrase “buttery flaky crust” in a commercial for a local Maine diner. Six years is like, a lifetime ago in internet years, so we don’t blame you if you don’t remember when Dysart’s Restaurant released a blooper reel of Jack and Sonya Palmer adorably slipping up as they try to get out that iconic catchphrase. Mrs. Palmer was perhaps even more exasperated with her husband in the original video than McKinnon was with Ferrell’s character in the parody. Unlike McKinnon and Ferrell, the couple finally got the line right, and it ran in the diner’s official commercial. We should add that it was Sonya who uttered the iconic “buttery flaky crust” line in the spot. The SNL version is pretty damn funny too. We had no idea that SNL was in the business of recreating vintage viral videos and memes, but we’re kind of into it.